In cities around the world, public space is an essential platform for voicing calls for change. Whether Madrid's Puerta del Sol, Athens's Syntagma Square, or Tahrir Square in Cairo, this space is the hippocampus of the nation: the first to experience unsettling tremors in the body politic. One of the most fascinating things about the occupation of Istanbul's Gezi Park was that many of the issues were tied to the use of urban space to promote a contentious version of national identity. It was an expression of widespread frustration with an autocratic urban transformation that has raised questions over which heritage represents the nation in the 21st century. 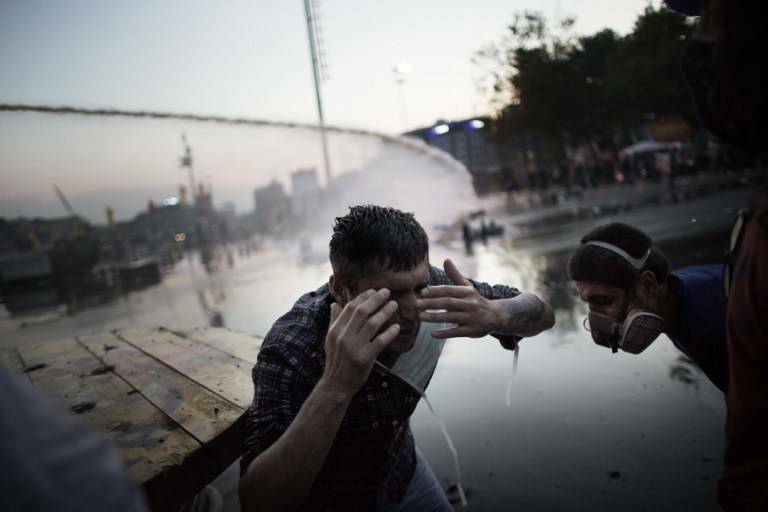 Protesters were brutally suppressed after attempting to use Taksim Square as an agora to address urban and national concerns. Over the past decade of Recep Tayyip Erdoğan's rule, the Turkish economy soared as Istanbul experienced increasing class segregation and an "Americanization" of the built environment in the form of gated communities and horrendous traffic jams. Real estate development has been accompanied by wholesale demolition of historic neighborhoods and removal of Roma communities in Istanbul. 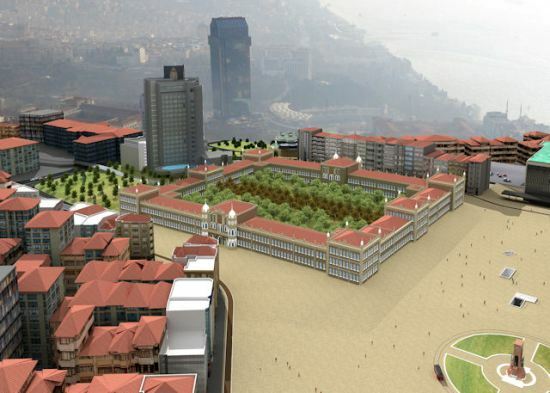 The plan to place a rebuilt Ottoman military barracks and shopping mall in Gezi Park was a major spark for the protests. Another was construction of a third bridge across the Bosphorus, named after an Ottoman sultan known for massacring people of the Alevi religious minority. The barracks and mall are fitting symbols of the AKP's urban transformation, in which Ottoman cultural heritage is used to build regional support for aggressive market-oriented development. The protests focused national attention on the AKP's increasingly oppressive desecularization of society. The party's deputy chairman recently denounced the reforms of Mustafa Kemal Atatürk, who brought an end to the Ottoman Caliphate and established the modern republic. While such jibes have been isolated and oblique, there have also been more-direct attacks on Atatürk's secular policies. Portraits of Turkey's great modernizer still adorn public buildings and private shops in Istanbul, and many of the Taksim protesters feel a connection between their efforts and those of the national patriarch. Flags with his photo have been used as symbols of what's at stake if Erdoğan is given a free hand at widespread reforms. Members of the AKP suggest that, while acknowledging Ataturk's achievements, they believe his policies were pushed through too quickly and the country must now reclaim its soul. Many in Istanbul feel the same way about Erdoğan's urban transformation. Max Holleran is a doctoral candidate in the department of sociology at NYU. Great post. It's also interesting how the internet helps amplify the protests in public squares across the world. Media has played this role for years, but now it's more pervasive and almost interactive, or vicariously interactive. We can support protest movements from the comfort of a cafe with free web access. But is anything changing? Considering recent events in Egypt, how can deeply entrenched political conflicts be resolved? I hope through nonviolent and web-enabled exchange in public space. public space should be controlled just enough to keep it safe and enjoyable, or it becomes lifeless. i deeply respect the protesters' attempts to keep their square and country free of excessive control. Crazy to see a regime that supposedly champions religious values using such violent measures against unarmed civilians, as if trying to become a military dictatorship.